ORLANDO, FL – April 15, 2019 – The North American Veterinary Community (NAVC) announced today an expansion to its communications and advocacy strategy, hiring communications leader Robin Pence as vice president of public relations. In this newly created position, Pence will develop and lead the NAVC’s public relations, local community relations and internal communications strategy and programs. She joins NAVC’s leadership team, reporting to CEO Tom Bohn, CAE, MBA. She will serve as the NAVC’s principal spokesperson and help enhance the organization’s visibility and community engagement in Orlando representing the NAVC on local boards and events. An award-winning senior communications executive, Pence brings more than 30 years’ experience leading communications for Fortune 500 companies and national non-profits. She has also served in leadership communications positions on Capitol Hill and at the Federal Communications Commission. Pence has extensive experience building company, brand and executive visibility and reputation management in some of the most competitive business sectors including financial services, hospitality, media and telecommunications. Most recently, she served as vice president of public relations and corporate communications for PenFed Credit Union, the nation’s second largest federal credit union with more than $25 billion in assets. She also led public relations and government affairs for Choice Hotels and, prior to that, corporate communications and the re-branding strategy for global energy company AES and Gannett, one of the world’s largest media companies and the parent company of USA TODAY. 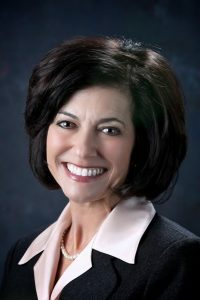 Earlier in her career, Pence led corporate communications for Sprint’s consumer brands at the height of the long-distance phone wars and served as a press secretary in the U.S. House of Representatives, assistant press secretary in the U.S. Senate and senior media advisor and spokesperson for the Chairman of the Federal Communications Commission.